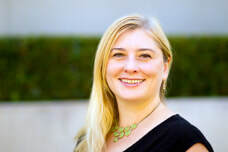 Melissa Dahlin brings a strong background in early childhood education policy analysis, program evaluation, and technical assistance—as well as insights from her years as a preschool teacher in Taiwan—to her work. Melissa was a Research Associate and, most recently, an Associate Project Director, at Education Development Center. Her portfolio includes the Center on Enhancing Early Learning Outcomes (CEELO) and several international education development projects. Previously, she was a program assistant at The Finance Project, where she conducted research and produced reports and tools for policy makers, and an intern at The Children’s Defense Fund, where she supported research to inform policy on full-day kindergarten. In all of her professional endeavors, and in her volunteer work as an infant/toddler coordinator for the Homeless Children’s Playtime Project, Melissa has been guided by a deep commitment to ensuring that all young children and families can access the resources and support they need to thrive. She holds a B.A. in History from University of California, Irvine and an M.A. in International Educational Development from Teachers College, Columbia University.